Posted on Monday, June 2nd, 2014 at 9:48 am. Boxing History: May 30, 1925 Paul Berlenbach W 15 Mike McTigue, Bronx, NY. Berlenbach wins World Light Heavyweight Title. 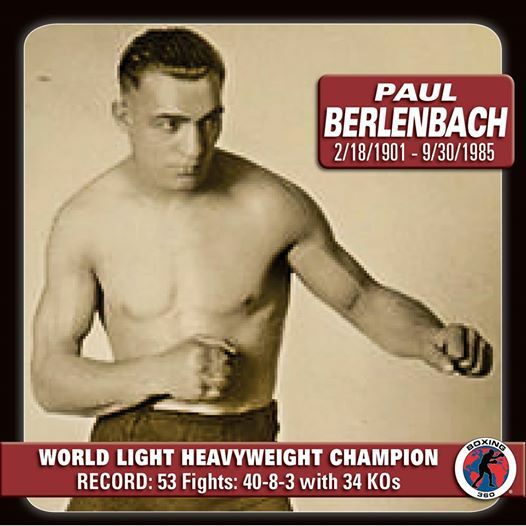 Paul Berlenbach (February 18, 1901 – September 30, 1985) was the light heavyweight boxing champion of the world from May 30, 1925. Known as the “Astoria Assassin”, Berlenbach was known for his punching power. The New York City-born Berlenbach was an AAU champion wrestler before turning to professional boxing in 1923. 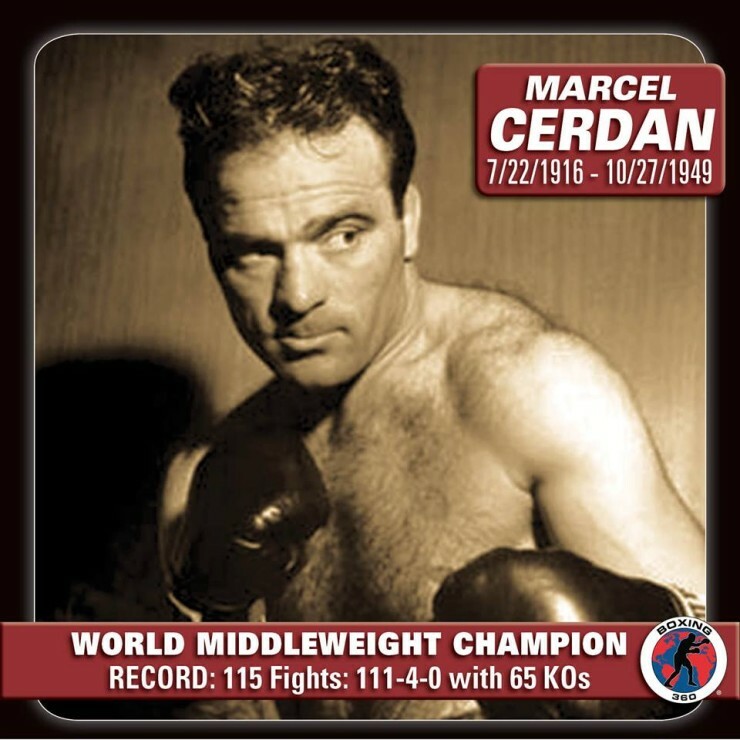 Eventually he scored a 10th round TKO over former champion “Battling Siki” to earn a title shot against champion Mike McTigue. Described by writer Paul Gallico as “untutored, unlettered, slow-witted, slow-moving, and wholly lacking in animation or imagination”, Berlenbach was, nevertheless, a formidable fighter. As Gallico noted, he possessed “a numbing, paralyzing body punch that caused his opponents suddenly to crumple up” as though shot. His weaknesses were his non-existent defense, and slow movements which enabled sharp shooting opponents, such as Jack Delaney, to hit him at will. He retired with a record of 40 wins (33 KOs), 8 losses, and 3 draws. He was named #93 on the Ring Magazine’s list of 100 greatest punchers of all time. Paul Berlenbach was born a deaf-mute to French and German parents. When he was 18, while working as an instructor at a Westchester County institution for deaf-mutes, he went to the aid of a boy whose kite had become entangled in an electric wire 12 feet above the ground. Climbing a pole, he released the kite, but came in contact with the wire, received a shock, and fell to the ground. Those who came to his rescue feared him dead. First aid revived him. When he came to, he immediately found that he now had normal hearing. Subsequent treatment developed his speech. Upon his retirement, he owned and operated Paul Berlenbach’s Ringside Restaurant in Sound Beach, New York in the 1950s. 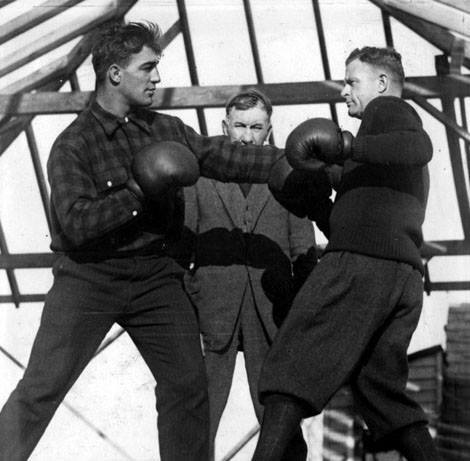 World Light Heavyweight Champion, Paul Berlenbach and Dan Hickey with manager Ben Stern looking on.